The Roll20 Tutorial is an easy and interactive way to learn the tools available to you in your free Roll20 account. You can access the tutorial any time from the Roll20 Games dropdown. Or, just click here! If you're a new user, the tutorial will also appear in several other places on the site until you've completed the tutorial at least once. 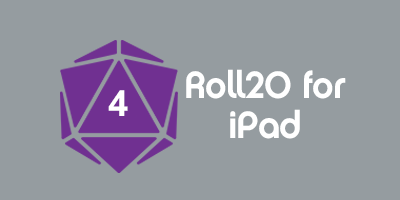 The text box for the tutorial is a black rectangle with white text that points at the part of the Roll20 app that's currently being discussed. The Text Box will move in between steps as well as present new information as the subject of discussion changes. To advance to the next step of the tutorial either click the next button, when available, or complete the action the text is asking you to perform. The tutorial's Table of Contents is an easy way to skip ahead in the tutorial to a section or subject matter you're most interested in learning. It also allows you to restart a section or go back to the beginning of the tutorial. Simply click on the tutorial section and the tutorial will automatically skip to the first step in that section. Once you have completed the tutorial, it will no longer be listed in your recent games list and you will receive an Achievement upon completion! This page was last modified on 8 March 2017, at 13:58. This page has been accessed 112,836 times.